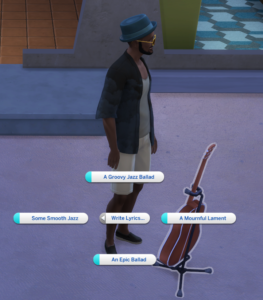 My Sim is supposed to write a song but I need to write it in one go as there is no option to continue writing the songs. 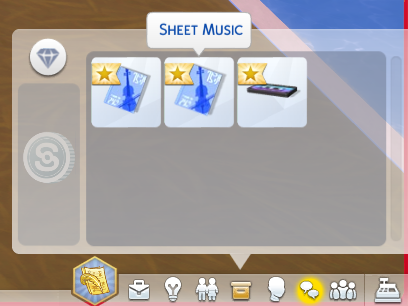 Songs, lyrics and mixes are placed in the Sims inventory to be continued from there, different to books and comedy routines. 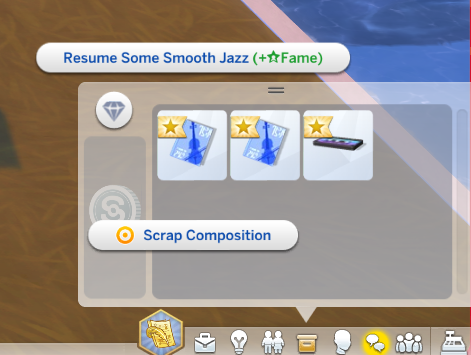 To continue click on Sheet Music, the Song Lyrics or Our Very Own Mixtape and then hit Resume on the song you want.